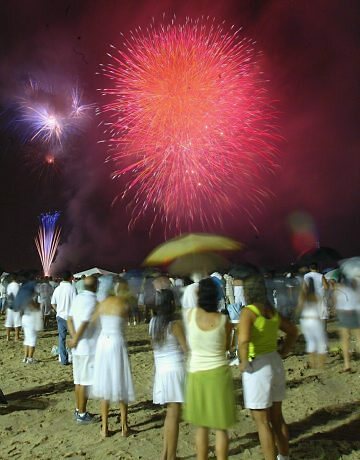 Year after year the New Year’s party organized in Rio de Janeiro is among the most popular celebrations of the world. Hundreds and thousands…or better say millions of people get together on the beach fo Copacabana to have fun and admire the spectacular fireworks over the bay. 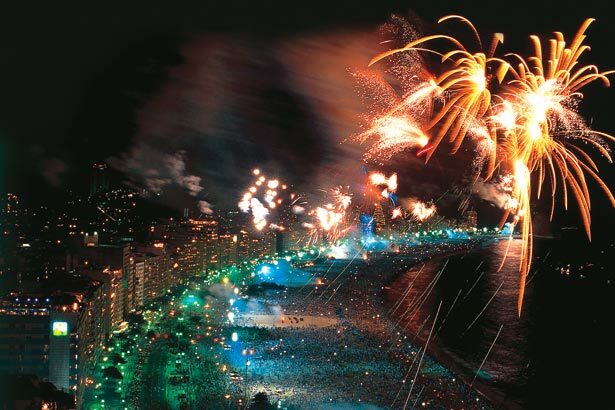 So, how to spend an unforgettable New Year’s Eve in Rio de Janeiro? First of all, if your budget is raither limited or you simply prefer street parties enjoy atmospheare and the free shows in the heart of Copacabana together with the brazilians and many other tourists. Normally several shows are organized and a huge stage stands on the beach right in front Copacabana Palace, one of the most luxorius hotels of the city. In case you prefer something more exclusive opt for a private party with limited paid access. Some of the most interesting ones are parties organized at the Fort of Copacabana and on the top of Morro da Urca & Sugar Loaf Mountain. Both of the places offer an exclusive area with buffet dinner, open bar, DJs, shows and most importantly amazing viewpoints for you to admire fireworks over the bay of Copacabana. An another very chic and luxorious option is the New Year’s dinner at Copacabana Palace which includes a possibility to enjoy priviledged views from the balcony of the hotel. Tickets to these parties are limited and need to be purchased in before hand. No matter what is your choice the party will be unforgettable, something to be remembered long after. Metro/Taxi: If you are planning to take a metro later during the night purchase a special ticket in before hand. Taking a taxi can also be a real challenge during the early hours of January 1st.